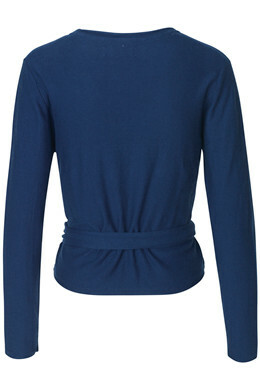 Soft and warm wrap-around cardigan in cotton and cashmere. 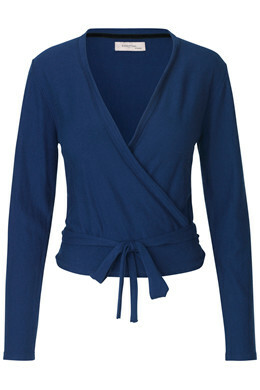 The cardigan goes to the hips and features simple decorative stitching at the neckline and sleeves. Perfect for the basic wardrobe.